In a knitting way, this quote from Ambrose Bierce is how I am choosing to remember my mother today. 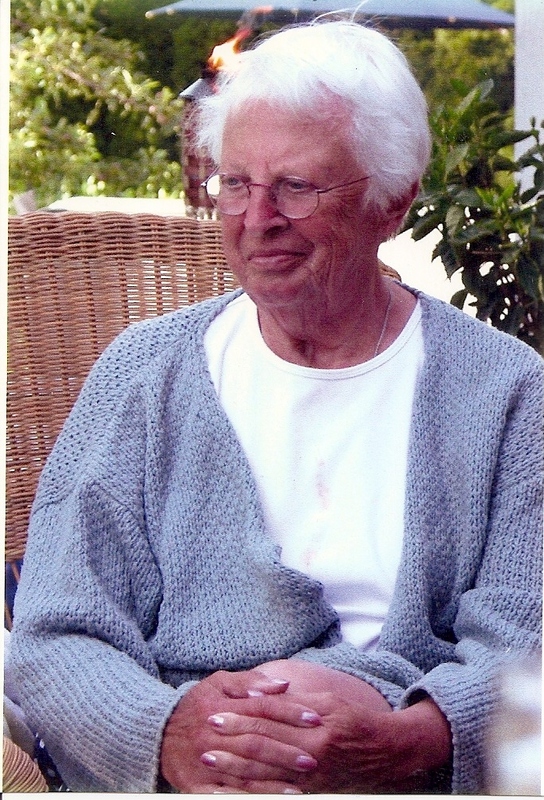 She passed away two years ago after a long struggle with Alzheimer’s disease. She worried about getting Alzheimer’s for years. My mother wasn’t perfect. She was, like all of us, flawed. She was a great tennis player, she loved playing with her grandchildren, she loved her pets and in her own way, she also loved her children. Mom was also a great secret-keeper. While I don’t remember he teaching me to cook, I do remember her cooking – somewhat resentfully, she always had a dinner on the table when my father came home from the office. I remember a story that was told about them leaving the house to go to a movie one night and leaving their brand new baby daughter (me) at home alone … apparently not for long, but forgotten none the less. 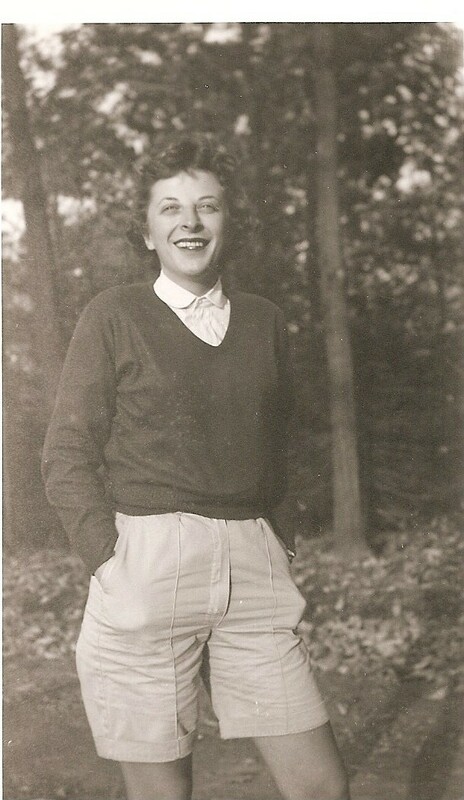 Mom loved to have friends over and we did lots of picnics at the swim and tennis club in the summer. In the winter we played paddle tennis and then went home for dinner. Mom sent me to sewing lessons (I dated the teacher’s son) and piano lessons (we fought about practicing) and figure skating lessons (which I loved but wasn’t terribly good at) and guitar lessons. She tried to get me to play tennis but sports were never my “thing”. All three of us did swim team … early summer mornings diving into the frigid pool at the Field Club and wearing Speedo swim suits. It was a good life. We had several dogs growing up: Sam was the first dog my parents had. He was a miniature poodle. The only time I ever saw my father cry was the day Sam died. We had Sheppy (can you tell we kids named him?) a German Shepherd who was hit by a car when we left him with the breeder while we went to the Connecticut shore for a vacation week. We had the loveliest collie named Kelly who was so well-mannered, she always did her “business” in the woods, not on the lawn, and she never left the yard. She was most often spotted sitting in a bed of ground-cover under the big tree in the front yard. Mom helped me convince Dad that we needed to get a cat. Prince Sihanouk (aka “Nookie”) a phenomenal friend came to live with us. He was “my” cat, a sealpoint siamese who lived to be 20-something. At one point, he had to go to the vet for daily subcutaneous feedings and we fed him white meat tuna. He was one lucky cat! I mentioned that mom was a good secret-keeper. Shortly after she died, her cousin told us that my parents had a child in 1956 who was lovingly put up for adoption. The baby boy was born on my mothers 24th birthday. I didn’t know it but the big brother that I had moaned and complained about wanting all those years was my mother’s reality. What pain it must have caused her. She had to have wondered about him every Christmas and birthday and when school started in the fall … maybe every morning before her feet hit the floor. I know I would have been. So, Mom, here’s to you! Thanks for bringing me into this world, for Nookie and Kelly and all three of my brothers! (I’ll tell the story of finding him another day!) Thank you for making me practice and for knitting sweaters with me. I’ve missed you.